Cjrpher telegrsrn to Mr. Calvert (Jeclda). The Political resident A senior ranking political representative (equivalent to a Consul General) from the diplomatic corps of the Government of India or one of its subordinate provincial governments, in charge of a Political Residency. ! 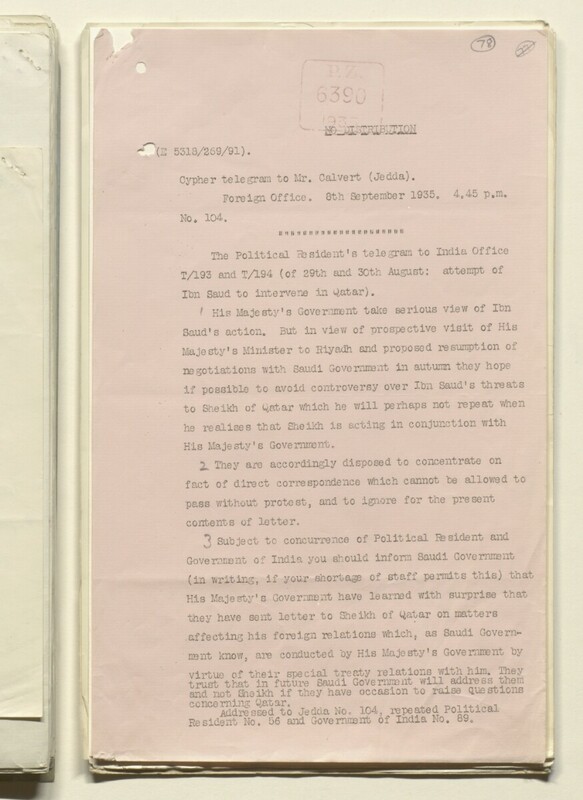 b telegram to India Office The department of the British Government to which the Government of India reported between 1858 and 1947. The successor to the Court of Directors. Ihn Saud to intervene in ^atar).